American Athletic Conference Commissioner Mike Aresco says the league’s new media rights deal with ESPN gives the AAC a platform similar to having its own branded network. The American and ESPN announced Wednesday a 12-year agreement that runs through the 2031-32 school year. Financial terms were not disclosed, but previous media reports put the total value of the deal at $1 billion, paying each school about $7 million per year. 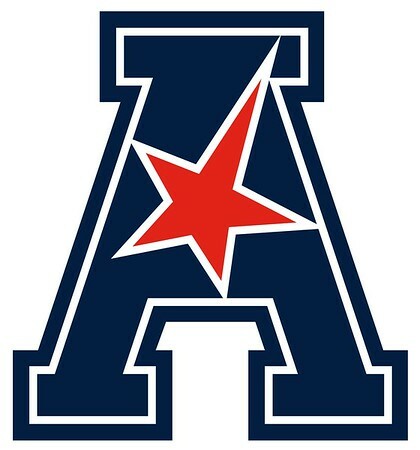 AAC and ESPN’s previous six-year deal, which expires in 2020, allowed the league to distribute about $2 million per year to the school. The new deal puts more than 1,000 events per season exclusively on ESPN-plus, the network’s new digital subscription service, including about 30 football games and 135 men’s basketball games. Currently, ESPN-plus costs $4.99 per month. The deal calls for at least 40 football games per season airing on ESPN’s linear TV networks, 14 more than in the previous contract. At least 20 of those games will be on ABC, ESPN and ESPN2, which is also an increase. In addition, the new deal gives ESPN the rights to Navy’s semi-annual home game with Notre Dame. ESPN cable networks will air at least 65 regular-season men’s basketball games and at least 13 regular-season women’s basketball games per season from the American. Burke Magnus, ESPN vice president of programming and scheduling, said the new deal with the AAC is more comprehensive than the deal struck in 2013, when the league was reconstituting from the breakup of the Big East. “ESPN-plus was a key component to driving value, without question, but frankly the thing we’re most excited about is that the new platform allows us to consider doing a deal that quite literally acquires every athletic event that the conference stages,” Magnus said. Under the previous agreement, other networks sub-licensed some AAC events from ESPN. CBS Sports Network carried a handful of AAC football games each season and most UConn women’s basketball games were carried by SNY, a regional sports network partially owned by the New York Mets. The powerhouse program already has many of its games shown on ESPN networks. Magnus did not rule out the possibility of sub-licensing deals for some AAC content, including the Huskies’ games. No deals are in place, but there is still a year left on the current contract. “Which gives us plenty of time to have conversations and have meetings with all interested parties about this content. And that’s what we intend to do,” Magnus said. Posted in Newington Town Crier, UConn on Wednesday, 27 March 2019 21:18. Updated: Wednesday, 27 March 2019 21:20.